Ahead of the September 10 governorship election in Edo state, the Iyase of Udo Kingdom in the state, Patrick Igbinidu, has placed what seems like a curse on his subjects who votes against the candidate of the All Progressives Congress, APC, Mr Godwin Obaseki, in the election billed to hold next week. 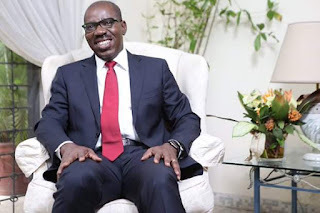 The monarch placed this curse yesterday when he received Obaseki and members of his campaign team at the palace, in Udo, near Benin, in Ovia South West local government area of Benin. last year, that Lagos residents of Igbo descent who failed to vote for the APC governorship candidate, Mr. Akinwumi Ambode, in the Lagos election, risk drowning in the lagoon. 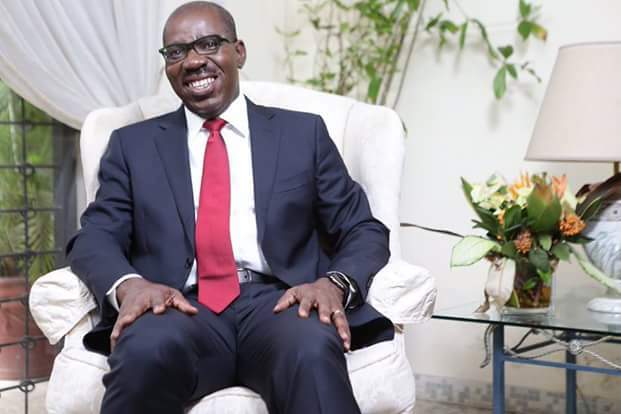 Toeing the same path yesterday, the Edo monarch said, “The ancestors of the land await those who will vote against the governorship candidate of the APC, Mr Godwin Obaseki. “You all have seen it; this is who the Udo people should support, who said he won’t vote for him, he should wait for the ancestors. The entire Udo kingdom should vote for him and anyone who gives his votes to another person is on his own. Igbinidu explained that his position stems from the development strides of the incumbent Governor, Comrade Adams Oshiomhole, particularly as regards the dualisation of the road leading to the kingdom, Siloko road.